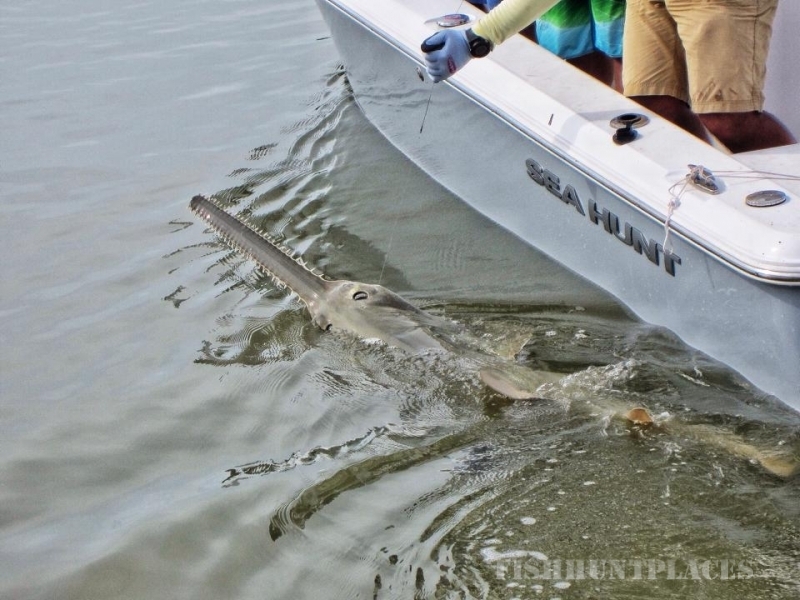 The Coastal Sportsmen and its crew pride themselves on what they call a “personalized experience” in the outdoors. The Coastal Sportsmen only book a limited number of trips per year, so at no time should you expect to be dropped off in the middle of the marsh or a grassflat to fend for yourself. When you book a charter with the Coastal Sportsmen crew, your not only booking a charter for the day, but your personally sharing it with watermen with over (70) seventy years of combined experience in the marsh and on the flats. 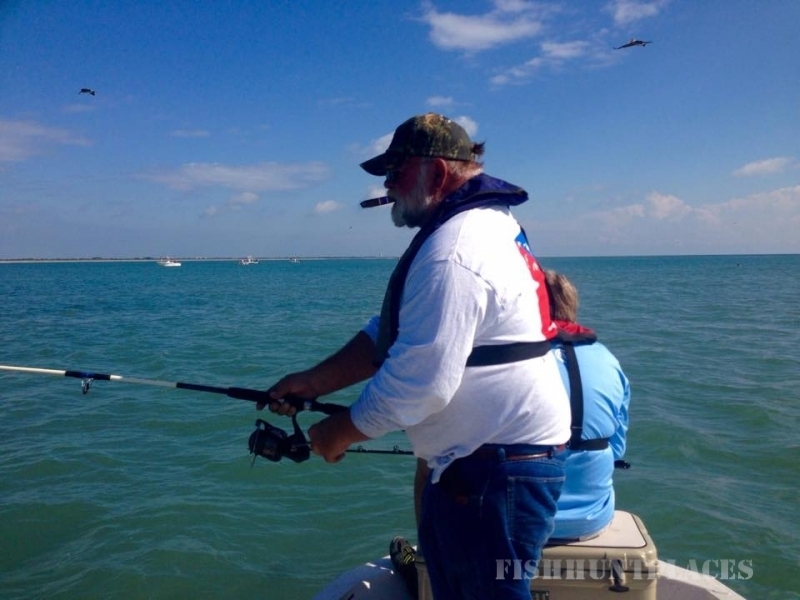 The Coastal Sportsmen guides are all licensed and insured United States Coast Guard Captains and members of the American Professional Captains Association. 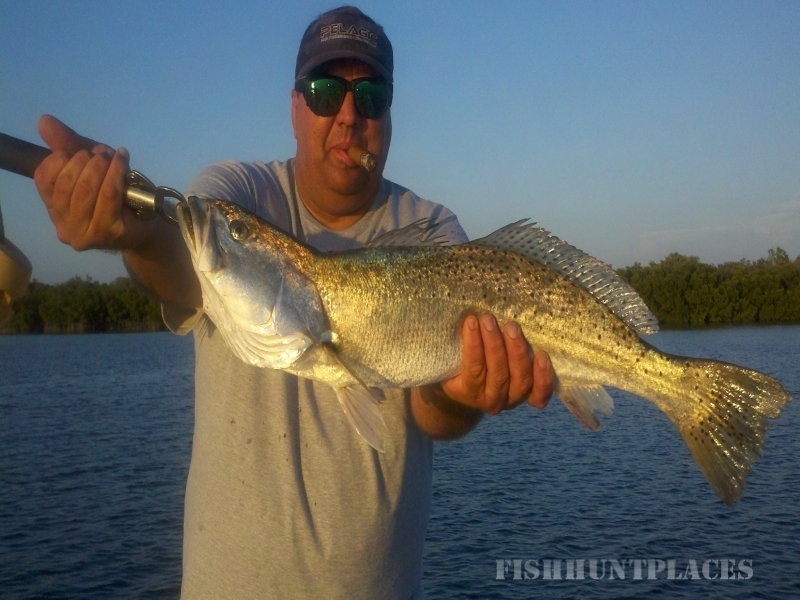 All of our guides are Florida certified Law Enforcement Officers or Firefighters. Our (8) eight vessels are inspected annually and exceed the U.S.C.G. minimum standards for carrying passengers for hire. All of our guides are C.P.R. & First Aid certified and carry Nextel phones in case of emergencies. 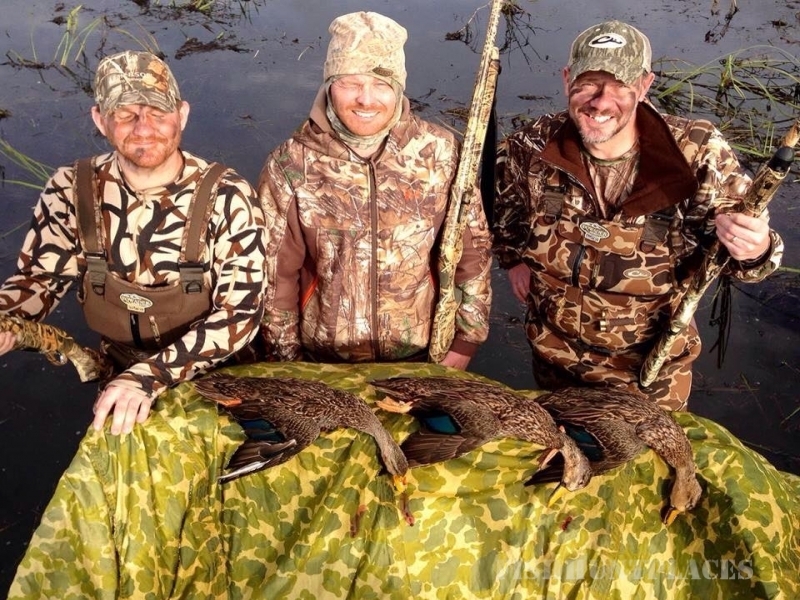 The Coastal Sportsmen and its guides have been featured on episodes of “Gundogs Unlimited” television show, ESPN Outdoors, numerous video productions, & in print. 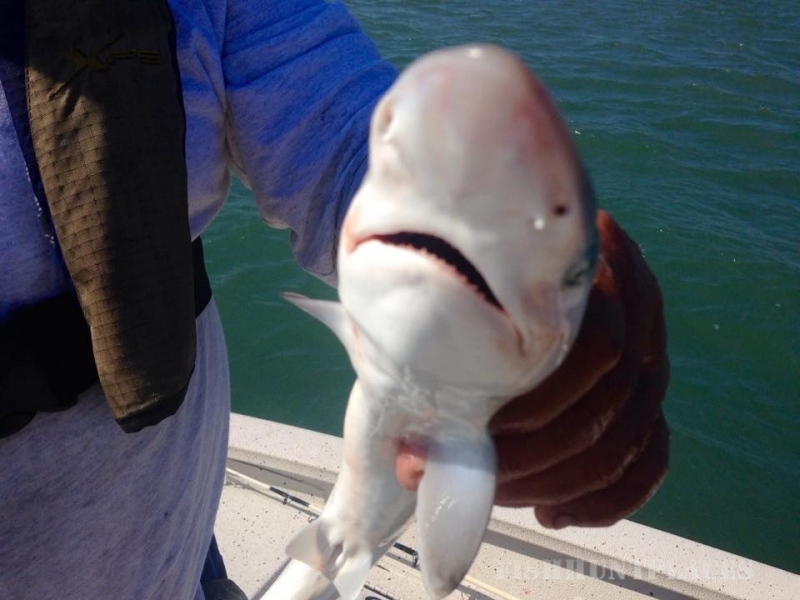 So at this time come and meet your guides, then you decide if the Coastal Sportsmen crew is the personalized and professional operation that you’re looking for on your next “Coastal Adventure”. Florida's Space Coast offers some of the most unique, diverse, and fragile habitats in North America. The St. Johns River Marsh (Upper Basin) encompasses over 240,000 acres of unspoiled and reclaimed marsh habitat. 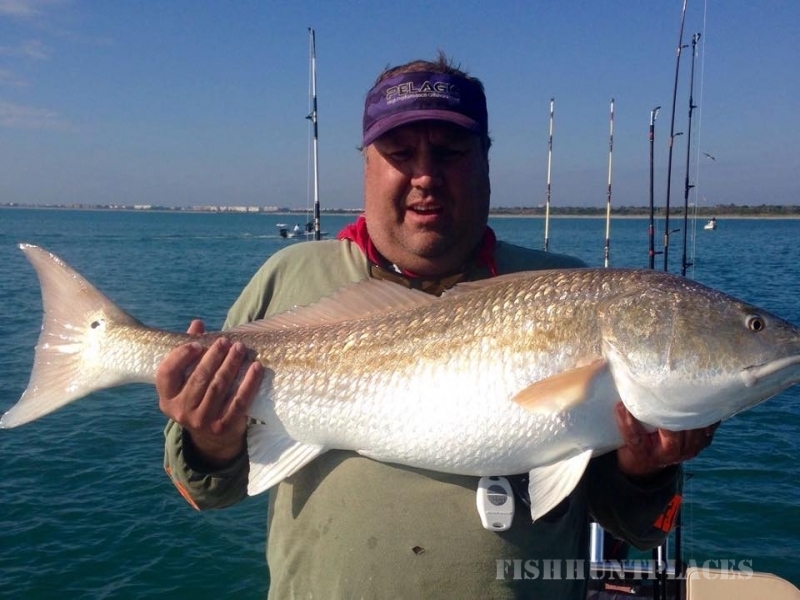 With the voter imposed gillnet ban of 1995, the Indian River Lagoon Eco-system has exploded back to life with (8) eight pound gator sea trout and (30) thirty pound tailing redfish. Wildlife like the Florida Manatee, wild hogs, bottlenose dolphins, Osceola Turkeys, and shorebirds by the millions can be viewed throughout the entire year. At times over 40% of the waterfowl in the Atlantic Flyway winter or pass through the sunshine state. Pintails, Widgeon, Scaup, Ringnecks, and blue/greenwing teal call Florida home during the long winter months. 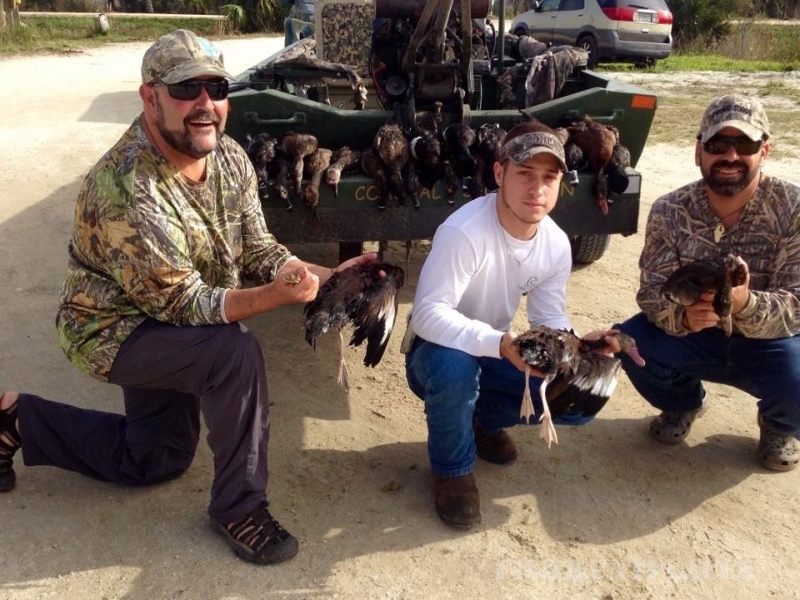 For you trophy hunters, the Florida Mottled Duck, the Fulvous Tree Duck, and the Black Belly Whistling Duck all call sunny Florida home all year long. Wildlife like the Florida Manatee, wild hogs, bottlenose dolphins, Osceola Turkeys, and shorebirds by the millions can be viewed throughout the entire year. 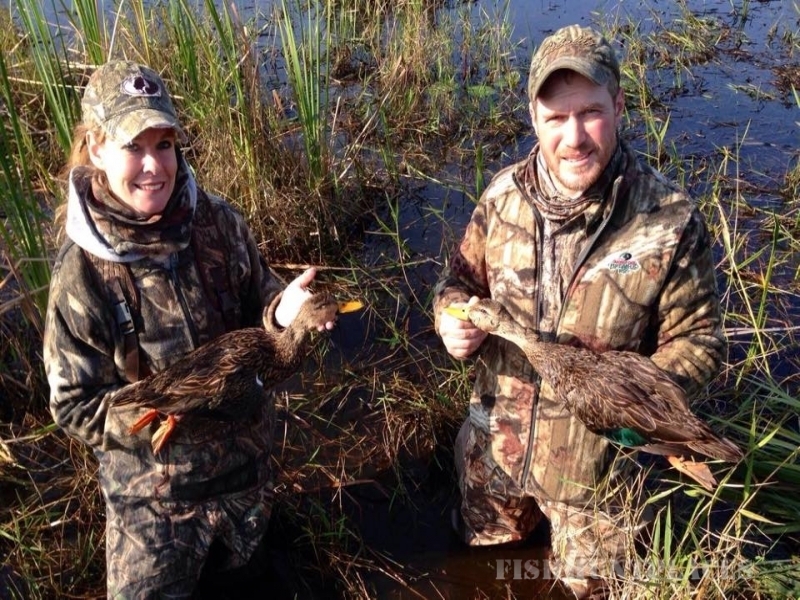 At times over 40% of the waterfowl in the Atlantic Flyway winter or pass through the sunshine state. Pintails, Widgeon, Scaup, Ringnecks, and blue/greenwing teal call Florida home during the long winter months. 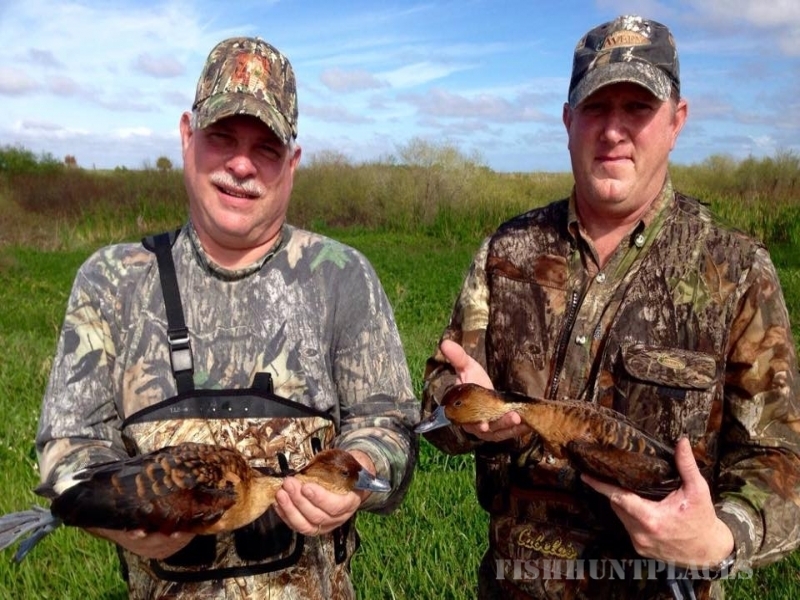 For you trophy hunters, the Florida Mottled Duck, the Fulvous Tree Duck, and the Black Belly Whistling Duck all call sunny Florida home all year long. Soft drinks & water will be provided on all charters. For larger parties, a hardy breakfast or shore lunch can be prepared by your guide. Please check with Capt. Jeff in advance so arrangements can be made. 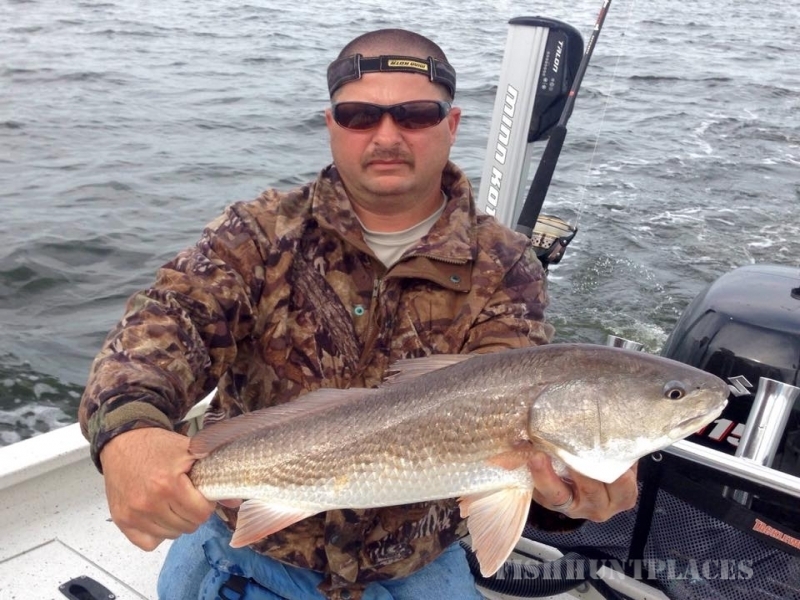 Due to Florida’s ever-changing weather conditions, we recommend the layering of your hunting and fishing clothing. It’s easier to remove unwanted clothing as it warms up rather than not having it there at all as the temperatures fall. Shore breeze showers and fast moving fronts are a common occurrence at anytime throughout the year. It’s said that if you wait 15 minutes, the weather is bound to change again. 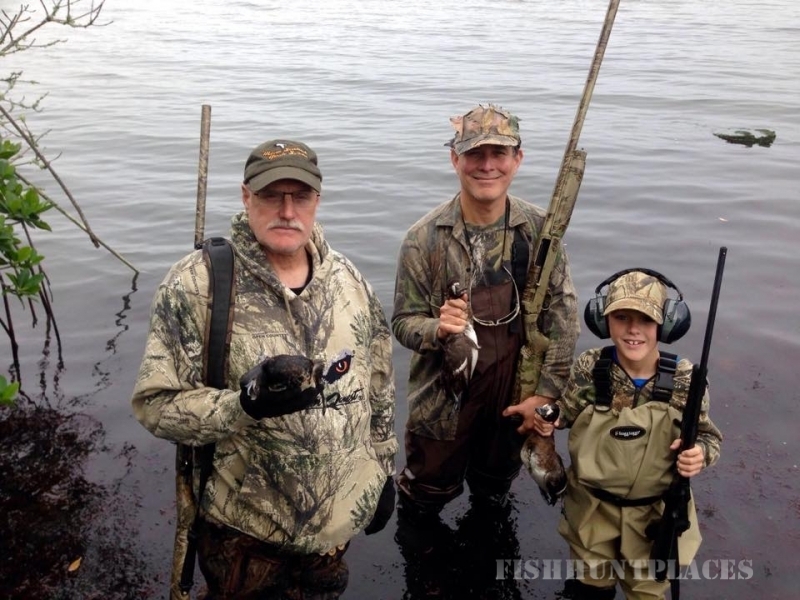 In some areas in Florida a Hunters Safety Course in required for both children and adults. If time permits, it is recommended that you attend one of these courses prior to making plans to join us. Any states course will do, so please check with your local Department of Natural Resources. We would also recommend a good pair of polarized sunglasses whether hunting, fishing, or just taking one of our relaxing tours on the marsh or lagoon. Without these, your outdoor experience can not truly be appreciated due to the vast amount of life both above and below the water’s surface. 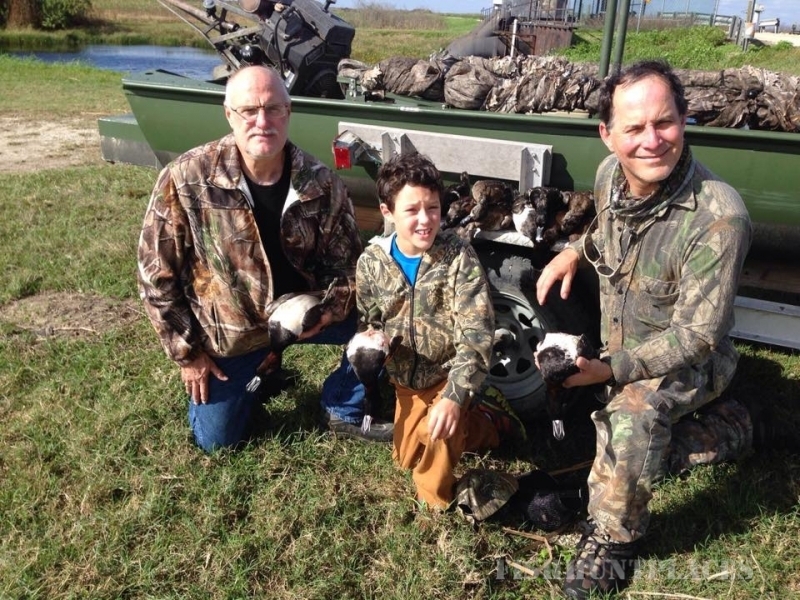 Your hunting retrievers are always welcome at the Coastal Sportsmen. Due to our large alligator population, please inform us well in advance if you plan on bring your friend. Duck hunts must be planned around these top predators of the marsh. We haven’t lost one yet, retrievers that is.